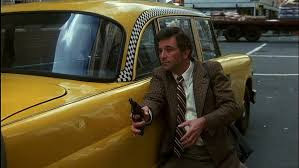 Peter Falk and Alan Arkin make for a hilarious dream team in this beloved American sidesplitter. Directed by Arthur Hiller from an ingenious script by Andrew Bergman, The In-Laws may at first seem like a generic meet-the-parents comedy, as Arkin’s mild-mannered dentist suspiciously eyes Falk’s volatile mystery man, whose son is engaged to his daughter. But soon, through a series of events too serpentine and surprising to spoil, the two men are brought together by a dangerous mission that takes them from suburban New Jersey to Honduras. Fueled by elaborate stunt work and the laconic, naturalistic charms of its two stars, The In-Laws deserves its status as a madcap classic -and has continued to draw ardent fans in the years since its release. When I first saw this movie back in 1989, I had never heard of it but I am so glad that I watched it as it's become one of my favorites. It was also my introduction to Alan Arkin and what an impression it made. 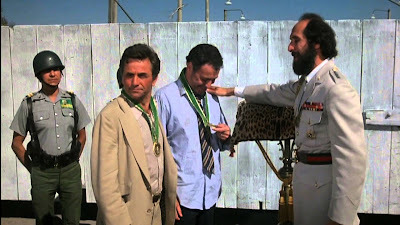 Of course, I was already aware of Peter Falk from Columbo, but seeing the two of them together was fantastic. 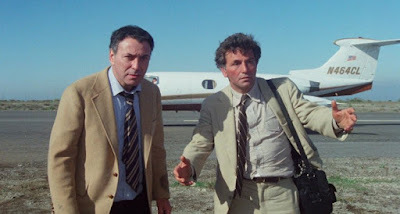 In this story of two very different men, one a CIA agent named Vince Ricardo (Peter Falk) and the other a dentist, Sheldon Kornpett (Alan Arkin) who cross paths when their children decide to get married. The two families had never met before and when they do finally meet up, there's an immediate clash of styles and values all played to the comedic hilt which ends with with Sheldon declaring that the wedding is off until he's calmed down and talked into trying to get to know Vince better. The next day Vince barges into Sheldon's office and asks him to do a favor for him by going to his office. Remembering his promise to try to be nicer to Vince, Sheldon reluctantly agrees to help Vince but is almost killed by some bad guys waiting at the office. From that point forward, Sheldon's rigidly structured life is turned upside down as Vince's schemes drag him further and further into trouble. It's not long before he's getting shot at in Honduras and dealing with an insane dictator (Richard Libertini) before being put in front of a firing squad. I love this movie and the chemistry between Arkin and Falk is amazing. I especially love Arkin's desperately manic performance where by the end he's a crazed rate just trying to survive and escape from Vince. Falk is also great in his role as the unflappable Vince who may or may not be a CIA agent or a gangster. No matter how crazy things get in the movie, Vince is always super supportive of Sheldon which adds even more humor to the movie, especially considering how much Sheldon is trying to get away from him. Arthur Hiller did a great job directing this movie as it starts off like a traditional 70s type of gritty thriller until it slowly evolves into a frenetic comedy. There are so many funny scenes in the movie that there's something for everybody, some slapstick, witty one-lines, silliness, and a lot of physical comedy. 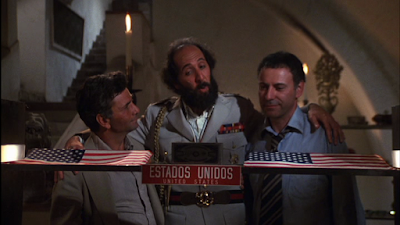 Richard Libertini also adds a lot of whacked out humor as the insane dictator that follows directions from his hand. If you haven't seen this one yet, you should run out and see it - but remember...Serpentine! Serpentine! As always, Criterion puts in maximum effort in restoring their movies to the best possible quality. This 1080p (1.85:1) transfer looks amazing. 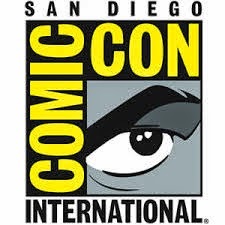 According to the booklet that came with the set, "This digital transfer was created in 2K resolution on a Director film scanner from the 35mm interpositive. Thousands of instances of dirt, debris, scratches, splices, and warps were manually removed using MTI Film's DRS, while Digital Vision's Phoenix was used for small dirt, grain, noise management, jitter, and flicker." The end result looks fantastic and the image is clean, the colors are bright, and there's no print damage to be seen. The film grain is still there and not scrubbed away and fans of the film will be very happy to see this film look better than ever. The In-Laws only offers one audio track on this release which is an English LPCM 1.0 track along with optional English subtitles. This remastered track sounds great and I'm glad that this was cleaned up too. Dialogue is clear and the score from John Morris also is blended well with the rest of the sound mix. Thanks to the restorative efforts of Criterion, there's no age related defects like pops and the like present. I always love the new extras that Criterion delivers on each of their sets and I really liked what's included here although I wish there was more. They are all in high definition and exclusive to this edition with the exception of the commentary track. Alan Arkin - In this almost twenty-five minute exclusive interview with Criterion for this set, the great Alan Arkin talks about his influences starting out and his early career. While he loved comedy, didn't get a chance to do it himself until The Russians are Coming! The Russians are Coming! That film showed him that he could do comedy and started him on an alternate path of directing and producing his own movies including this one. He also talks about working with Peter Falk and the path the film took to reach the big screen. This is a great interview and I just wish that we could have had one with Peter Falk too. In Support of The In-Laws - In this thirty-five minute featurette, we hear from some of the supporting cast of the movie including: Ed Begley Jr. (Barry Lutz), Nancy Dussault (Carol Kornpett), James Hong (Bing Hong), and David Paymer (the cab driver). They talk about getting hired for the movie and how important it was to their careers as it was the first real film job that most of them had. 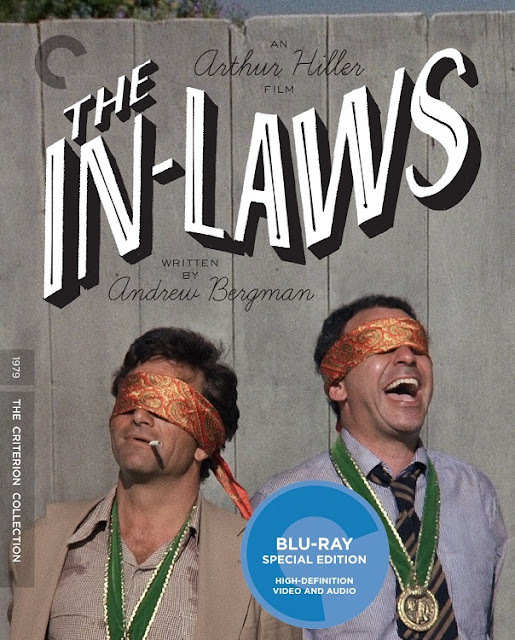 Commentary - This fun audio commentary previously appeared on the 2003 DVD release of The In-Laws. 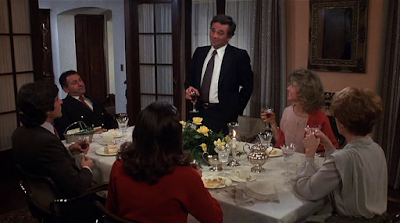 Included are director Arthur Hiller, writer Andrew Bergman, and actors Peter Falk and Alan Arkin who talk about the making the movie, the script, and share some great stories about it. I really like this inclusion as it's the only way we get to hear Peter Falk's thoughts on the movie. Booklet - Also enclosed in the set is an illustrated booklet containing an essay by Stephen Winer and some thoughts about the making of the film from director Arthur Hiller. Trailer - The film's original theatrical trailer. 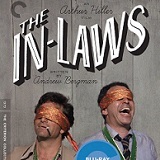 The In-Laws is a fantastic movie filled with a lot of laughs and Criterion has done an impressive job in making the movie look and sound better than ever. The audio and video presentations are top notch and the extras are fun and informative. I highly recommend this release!